August saw the introduction of an intensive week-long Urban Informatics Masters subject targeted at planning, landscape architecture, architecture and spatial science students at the University of Melbourne. 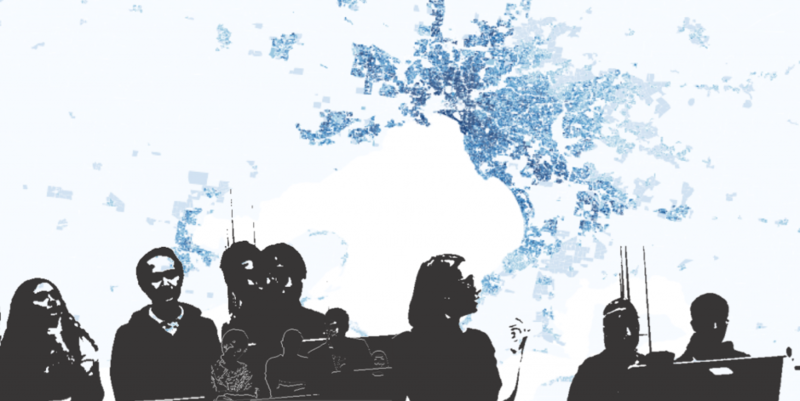 Via lectures, students were introduced to a range of concepts around urban data. This included spatial decision support systems, spatial data issues, economic modelling, transport and logistical modelling, health in urban environments and urban sustainability. Students also participated in a series of tutorials based predominantly around the AURIN portal and OS-GEO products (QGIS), with documentation provided via the new AURIN Portal Help site. As part of their assessment, student groups critically investigated aspects of one of the National Employment Cluster (NEC) regions outlined in Plan Melbourne. Preliminary findings from these group exercises were presented to the class and to representatives from the Metropolitan Planning Authority, who were impressed with the quality of critical analysis and innovative thinking put forward by members of the class. At all of our teaching events (master classes, seminars, courses), we survey users about their impressions of the portal, both through closed and open-ended questions. We have been able to undertake some qualitative and quantitative analyses on these, which form part of a new paper submitted to the Journal of Spatial Sciences. Click here for more information on the Urban Informatics subject in the University Handbook.